A Kerbalized version the second variation of the SpaceX BFR. The first stage does not include airbrakes, so care must be taken when landing. Additionally, the wonky aerodynamics means you need to more or less fly straight up until the atmosphere thins enough to where the engine gimbal can keep things in check. Ambitious billionaire not included. 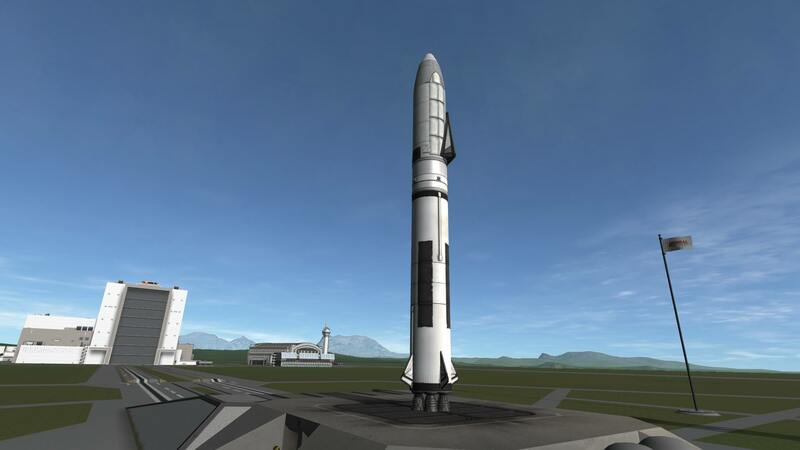 A stock rocket called BFR V2. Built with 98 of the finest parts, its root part is adapterMk3-Size2. Built in the VAB in KSP version 1.3.1.